Imphal: First-time voters in poll-bound Manipur want an end to the politics of blockades and bandhs and demand better educational and job opportunities in the state. Every youth that PTI spoke to here wanted blockades to end and peace to return to strife-torn Manipur. "Since my childhood I have been hearing and reading about political unrests, blockades and shutdowns. I think the time has come when we should move forward towards creation of more jobs and educational opportunities leaving behind this era of bloodshed," said a student who did not wished to be named. "A single blockade cripples our daily life as prices soar and we hardly get fuel to run our scooters. I think we need peace and prosperity in our state. We don't want blockades and unrest," another student said. The indefinite economic blockade by United Naga Council (UNC) since 1 November 2016 in Manipur against the state government's decision for creation of seven new districts. It has severely hit supply of essential commodities including fuel. Better educational and employment opportunities is the other important demand by young voters, many of whom had to move to Mumbai, Delhi, Kolkata or Bengaluru. "Most youths leave Manipur after completing their higher secondary or graduation. This is because Manipur has no proper higher educational facilities or job opportunities," said B Sarat, a first-time voter. With unemployment being one of the biggest problems of the north eastern state, most youths want Manipur to be developed as an IT and education hub. "In Manipur good jobs means either government service or few private jobs where you won't earn more than Rs 7,000 to Rs 10,000 a month. Had there been BPOs we could have earned more," said Prashant Singh, another first timer. 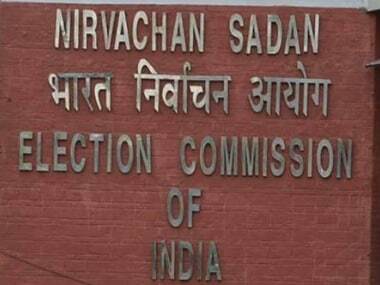 According to Election Commission there are 45,642 voters in the state who are 18-19 years old and would exercise their franchise for the time in the March polls. With youths comprising a hefty 35 percent of the state's population both ruling Congress and opposition BJP are trying to woo them with promises of employment opportunities. All political parties have stressed on formulating a comprehensive policy for creating jobs in the state. Congress in its manifesto has announced creating a minimum employment of at least three lakh educated youths through skill development in the next five years. BJP on the other hand promised that it would provide livelihood opportunity to at least one person per household. Bijay, a first year college student said he has decided to vote for any candidate who would provide better roads and street lights in his locality. "For me the candidate is important and not the party. The candidate whom I think is better for my area, I will vote for him," he said. Students from North East facing harassment in various parts of India is another area of concern for the first time voters. 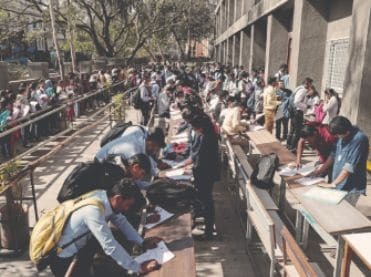 Perky, who works in Kolkata, said "I think whichever party comes to power should ask the central government to come out with a specific policy to ensure the safety of north east students and youths working or studying in various parts of the country. We are being taunted and this has to stop." 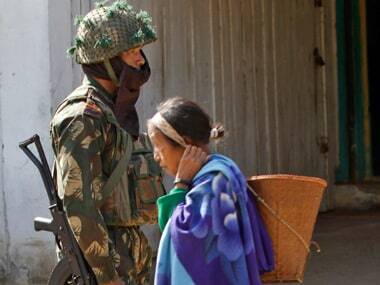 Polling for the 60-member Manipur Assembly will take place in two phases on 4 March and 8 March. Results will be declared on 11 March.